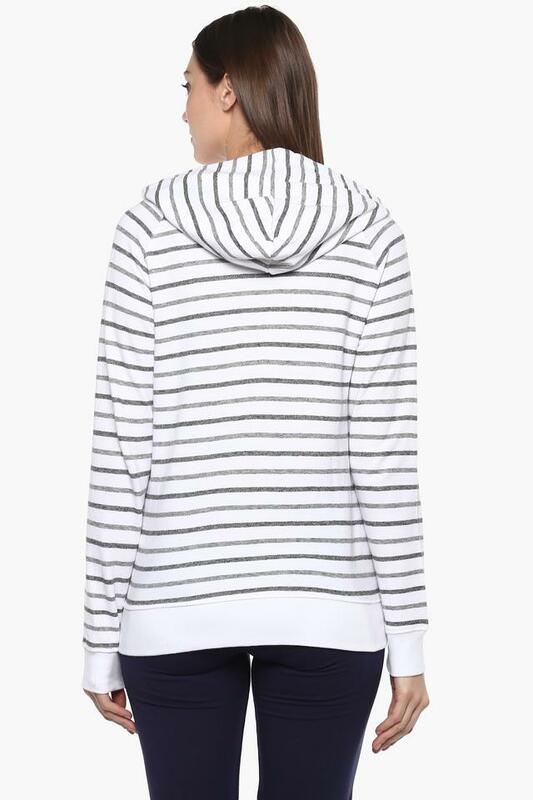 Let your style do the talking by wearing this trendy sweatshirt brought to you by U.S. Polo. Featuring a hooded neck, it also comes with full sleeves that add to its design. Besides, it has been made of a superior quality fabric, which makes it easy to maintain while the stripe pattern renders it trendy. Featuring a hooded neck, this sweatshirt also comes with full sleeves that render it fashionable. You can team it with a pair of jeans along with heeled shoes to look elegant.